I’m a huge fan of delicate girly dresses but sometimes it’s nice to juxtapose feminine pieces with something a bit edgy. 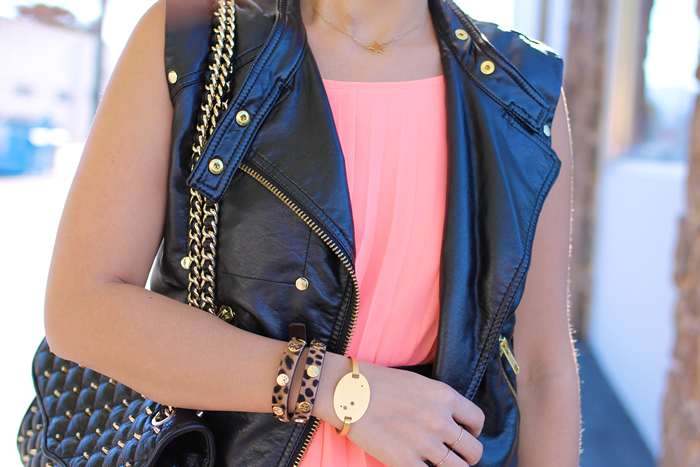 This little leather vest with gold hardware was perfect and the vivid black sets a nice contrast against the soft peach. Sometimes the most interesting outfits can come from mixing different elements of colors, edge and sweetness…breaking up the expected and pairing it with the unexpected. Love that you wore the bow on the back! Such a cute idea. That’s an ABSOLUTELY GORGEOUS dress!!! So flirty! 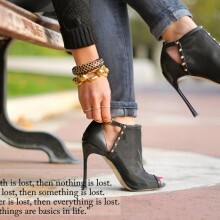 And pairing it with black – Classic! Love, love. love this entire look! you rocked it so perfectly! How beautiful! 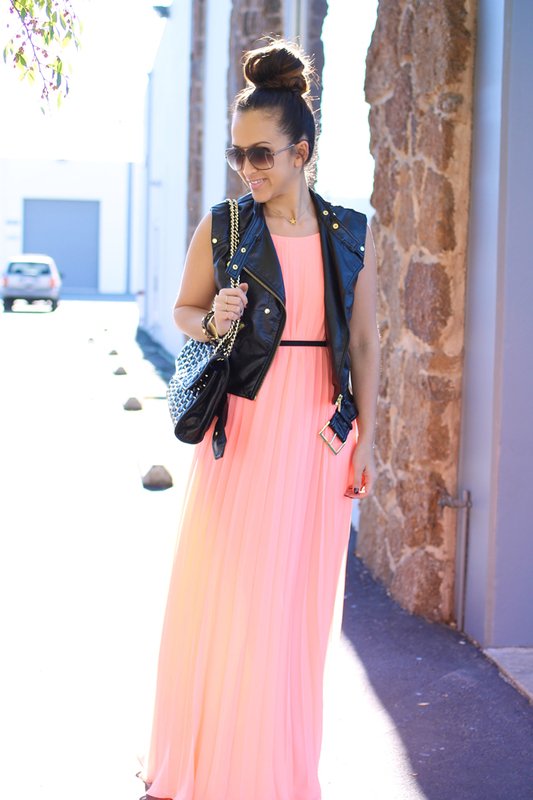 This is the perfect peachy dress and you wear it so well!